The final concert of the 2011/2012 season for the Southern Stars Symphonic Brass will be a fitting finish to another great season of music and guest artists. The concert is on Saturday, April 21 at 7pm and will be conducted by Dr. Steven Sudduth. This is a new time for a SSSB concert, but the evening concert should minimize conflicts with springtime golf and gardening. Brassamataz! is the concert theme and will feature this outstanding instrumental ensemble performing big band hits of the swing era. In addition to this music which will have your body moving to big band beat of this 30 piece group, they have contracted with one of the top entertainers from Nashville. Sponsors for this concert are: Maestro sponsor – David Bell, State Farm Insurance; Baton Sponsor – Cumberland Eye Care, Dr. Stuart Galloway; and 2011/2012 Season Sponsor – Bed & Biscuit Kennel. Guest Artist sponsors are: First National Bank of TN, Rush’s Music Stores, and Spirit Broadband Communications. For this unique concert, the Southern Stars will perform big band medleys of Count Basie, Glenn Miller, “Sing, Sing, Sing” – the Gene Krupa and Benny Goodman hit, Dave Brubeck’s “Blue Rondo a la Turk”, and Weather Report’s “Birdland”. 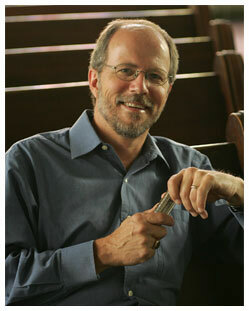 Buddy Greene will perform “Georgia, On My Mind” and “Just a Closer Walk With Thee” with the SSSB. Then the audience will be treated to a separate 30 minute set of music where Buddy with be featured by himself, supported by his sideman, Jeff Taylor………..performing a variety of music to demonstrate their skills across selections of gospel, bluegrass, Irish/celtic, and even classical. Tickets for this great concert are a tremendous bargain at $18 for adults and $5 for students. A special “short season” ticket for the Feb. 12 and April 21 concert are $30 and can be purchased prior to the Feb. 12 concert. To hear Buddy Greene perform would cost you at least this, and you will get the added benefit to have the outstanding musicians of the Southern Stars in concert as well. You are getting essentially two concerts for the price of one!! Individual tickets will be available for this concert beginning on Feb. 12. Ticket sales locations will be: (1) First National Bank of TN locations in Crossville and Fairfield Glade, TN, (2) Cumberland Eye Care, Dr. Stuart Galloway in Fairfield Glade, (3) Bed & Biscuit Kennel off Peavine Rd., and (4) Cumberland Co. Playhouse box office at 931-484-5000 or at their on-line website (a small surcharge will apply for the CCP location). Group sales for a minimum of 1o are available for $15/ticket via contacting Dwight Wages at 931-484-6939.